Chennai: On Tuesday, Rains intensity decreased as expected. In the 12 hrs ended 8.30 pm IST, Chennai received 24 mms of rain. Chennai: Still decreasing rains on Tuesday. Meaningfull increase after the arrival of the fresh Low (around 15th). Bangalore too, was almost as forecasted. As per our estimate, the day's high was 20.4c,with 11 mms of rain in 12 hrs. Bangalore: Decrease in rains from Tuesday..Day temperature rising. BB-10 is now over North TN and adjoining Interior Karnataka. Heavy rains likely in N.I. Karnataka on Wednesday. Goa and Coastal Karnataka ( Particularly Karwar coast) may see showers with gusty winds from evening. Light rains in South Konkan. BB-10 will emerge in the Arabian Sea on Thursday, off Mangalore. Another Low is forming in the Southern Bay off the Sri Lanka (Eastern) coast around the 13th of November. In all probility, track towards TN coast. Mumbai was 33.7c (Colaba) and 35.5c (SCruz) on Tuesday. I expect the nights to cool down by about 2c from Wednesday, and day temperature will remain around 33/34c. Expect more cooling after the 15th, when we may see nights at SCruz falling by 2/3c. Western Disturbance will precipitate snow on Wednesday and Thursday in the medium and higher reaches of Kashmir and HP and the Northern Most regions of Pakistan. Mumbai will be cloudy on Tuesday, with the day temperatures around 33/34c. Pune also will be cloudy and easterly winds will keep day around 30/31c. Depression BB-10 has crossed the East India coast near Pondicherry on Monday evening. On crossing, the pressure as per various estimates was 1002/1004 mb and wind speed estimate 25-27 knts...hence as per IMD terminology, it remains as a Depression. Depression will track West, and emerge in the Arabian Sea as a Low. Chennai had good overnight rains amounting to 136 mms at Nungambakkam and 167 mms at Meenambakkam as on Monday morning. during the day, Monday, Meenambakkam measured 44 mms. Rains intensity decreasing on Tuesday. 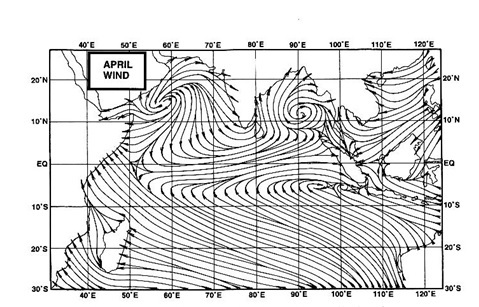 Bangalore was cold and windy as anticipated (see Viayanand's comments) at 21.5c, and received 20 mms till 8.30 pm. Tuesday will remain cold and rainy, with the day around 20-22c and around 20 mms of rain. Western Disturbance N-4 will bring rains to Northern Pakistan regions and Kashmir on Tuesday. But, it picks up in strength from Wednesday night into Thursday, when, Central Pakistan, that is Upper Sindh, Punjab and Northern regions, And Indian Punjab and Hill States of H.P. and Kashmir get rains and snow. It is now six months since the 2015 El Niño became established in the Pacific. During this time, oceanic and atmospheric indicators have been persistently strong, comparable to the events of 1997–98 and 1982–83. International climate models suggest the peak in El Niño sea surface temperatures is likely to occur before the end of the year, then gradually ease in the first quarter of 2016. Sea surface temperatures in the central tropical Pacific are now around 2.4 °C above average, the largest anomaly for this event so far. Other indicators of El Niño, such as the Southern Oscillation Index (SOI), cloudiness near the Date Line, and trade winds, still reflect strong El Niño conditions, despite some weakening in the SOI over the past fortnight. The positive Indian Ocean Dipole (IOD) event persists. This event has been in place for over three months. International climate models expect the positive IOD to break down during November and early December. More broadly, Indian Ocean temperatures remain very warm: the October sea surface temperatures anomaly for the southern hemisphere Indian Ocean was the highest positive anomaly for any month on record. El Niño is usually associated with below-average spring rainfall over eastern Australia, and increased spring daytime temperatures south of the tropics. A positive IOD typically reinforces the drying pattern, particularly in the southeast. During summer, El Niño's influence on rainfall decreases, while warmer daytime and night-time temperatures continue to be more likely across the south and east. May millions of lamps illuminate ur life with endless joy,prosperity,health & wealth forever..Wishing all Vagarians an very "HAPPY DIWALI" !! Quite a wet diwali in bangalore.Almost non-stop rain in bangalore from monday morning. On Monday city recorded close to 5 cms and tuesday another 2 cms. Today morning its raining again - heavy drizzle. Expect the weather to improve from tomorrow. Very good forecast by vagaries it was very precisely done. abizer: No rains expected in the mentioned periods..